Stone is old, older than humans, older than life itself. Baked in the furnace of earth, shaped by geological events going back millions of years, stone is the building block of civilisation, the heritage that predates heritage, the foundation on which culture stands. Humankind’s greatest creations—its monuments, statues, and sculptures—are the story of mastery over stone. If the Taj Mahal is heritage, so is the marble that made it, quarried at the Makrana mines 375 kiolmetres west of Agra. While the Taj is a Unesco World Hertitage Site, Makrana is hollowed out earth, a landscape dotted with stones crushers. Across India, its stone heritage is under threat from indiscriminate mining and indifference from the scientific community and the government. Even today, when we have discovered new materials and techniques, it seems we can’t get away from stone. The current building materials of choice are cement and ceramic along with brick. One of the major reasons is that concrete is strong and can be moulded in many ways much more easily than stone. It is also much more portable and especially suited to large structures like dams. But the base for cement and concrete are still stone, locally available stone being mixed with cement to produce concrete. In turn cement is made with powdered limestone mixed with gypsum. Concrete is far less durable than stone with a maximum life of 100-150 years, which is minuscule compared to the temples and forts built thousands of years ago and still standing today. If the Taj Mahal is heritage, so is the marble that made it, quarried at the Makrana mines 375 kiolmetres west of Agra. While the Taj is a Unesco World Hertitage Site, Makrana is hollowed out earth, a landscape dotted with stones crushers. The ubiquity of stone is part of the background for a proposal in August 2008, at the 33rd International Geological Conference (IGC) held in Oslo, Norway to declare a Global Heritage Stone Resource (GHSR): to recognise stones that have found widespread use across the world throughout human history. The GHSR designation also gained support from the International Union of Geological Sciences (IUGS), which resulted in a formal declaration at the 34th IGC in 2011 in Brisbane, Australia. After some deliberation, IUGS—one of the world’s largest non-governmental science organsiations—concluded that it was an important international, national and community need to increase awareness and knowledge of natural stone and its value in terms of sustainability and economic development. It set in motion an international initiative to consider stone as heritage. Indian scientists and government obviously did not get the memo. After the National Democratic Alliance (NDA) government led by the Bharatiya Janata Party (BJP) came to power in 2014, a process to return antiques of India housed in museums and galleries abroad was begun. According to the Archaeological Survey of India (ASI), 24 antiques have been “voluntarily returned” by the US, Australia and Canada through diplomatic channels. For example, a statue of Sri Devi which dates back to the Chola dynasty; a metal sculpture of Bahubali, a bronze of Saint Mannikkavachaka and others of Ganesha and Parvati; a terracotta woman from the Mauryan period; and a floral tile from Kashmir have been brought back from the US. Similarly, a pair of door guardians from the Vijayanagar Empire and the famous statue of the Dancing Child Sambandara, Nandi, Trident with Kali, all from the Chola dynasty, were returned by Australia. Also, a statue of Uma Parameshwari has returned from Singapore, a Parrot Lady (Canada) and a Durga statue from Jammu and Kashmir (Germany). These antiques are a small part of the thousands of years of India’s art heritage. In the case of stone, the raw materials are abundant across the country and artisans have found jobs in various monument restoration projects undertaken by ASI. India’s heritage in stone is diverse in terms of age, strength, texture and colours, to name a few categories. Estimates by various state and central government agencies, and watchdog groups say a large part of the stone and minerals mined in India are unaccounted for. 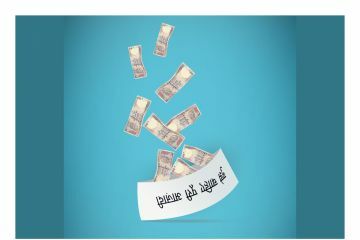 The loss to the state runs into thousands of crores. For example, according to estimates submitted to the Supreme Court in the illegal mining case from Goa, the state lost Rs 65,000 crore in revenue to illegal mining between 2007 and 2012. The discussion on GHSR designations first came up in 2007 as a way to enhance international recognition of famous dimension stones (natural rock cut for specific use). The aim was to mainstream dimension stone study as a part of geology through an internationally acceptable geological standard. This meant scientists would discuss and arrive at criteria through which both they and the general public working on preserving heritage would decide and protect heritage stones or GHSR across the world. The English Stone Forum was the first to take up this cause since it was already working on similar lines, and has since made significant progress. The forum consists of nine scientific organisations that have banded to encourage greater public interest in and awareness of England’s stone-built heritage and the threats it faces. The organisation encourages the use of English stone for the public benefit, and ensures availability of the stone required for maintenance of its built heritage as well as new construction. One of the main reasons is a growing recognition of stone as a significantly stronger and durable construction material, visible across the world in stone-built monuments still standing. The trigger has been the consistent degradation of brick-and-mortar houses and their much higher deterioration rate. Stone continues to shape our lives even today. In India, wherever sandstone, granite, marble, slate, are easily available stone is the choice of paving, roofing and even wall-building along with cement as holding material. In Rajasthan, UP and MP, for example, sandstone and slate still provide cheaper material for home-builders, both as roofing and paving material. They are durable and require almost no repair work. In southern Andhra Pradesh and parts of Karnataka limestone and slate are used by locals, whether in urban areas or rural, as the cheapest building material since it is easier to cut into slabs and stack up together. In the coastal areas, especially in southern India, laterite is the choice of building stone. It is a variety of granite which is weathered down more compared to other forms and is lighter as a result, which makes it portable and also easy to chisel and cut into slabs. Unfortunately, while other countries have made progress, India has not even devised a plan of action, though Indian geologists and other scientists took part in forums across the world over the past decade. Italy, for example, has developed a database of stone types, their sources, different uses, etc., and showcased them through awareness programmes on the lines of the initiatives taken in Britain. Scientists in Europe have written detailed volumes on GHSR based on voluntary contributions from scientists from across the world and discussions in the European Geosciences Union General Assembly through the years. No Indian scientist, however, voluntarily submitted proposals or material on the subject. They initially understood that active quarrying of a particular stone over time would be an important aspect of GHSR designation, and so a designation different from any other standard was needed. Since 2007, the GHSR proposal has evolved because of the increase in the number of interested international members. The English Stone Forum played a major role in pushing through the plan advising that English dimension stone types were recognised as having international, national or regional importance. It was also proposed that GHSR designations have significant values attached to safeguarding designated types while providing a potential mechanism to prevent replacement of heritage stone by cheap substitutes. During development it was also proposed that stones that have practical applications such as roofing slates and millstones or even stones used by prehistoric man be recognised under the GHSR designation. The heritage importance of architects was also recognised. In India this is absent as most of their knowledge is recent in history, which has led artisans to move to other professions, losing their traditional wisdom over generations. Most importantly, an international network comprised primarily of geologists evolved and is now considered the largest international group of dimension stone professionals. This resulted in the project being affiliated with IUGS in 2011. A formal association was formed, the Heritage Stone Task Group (HSTG) of the IUGS. The body funds HSTG for a four- year cycle, the first of which started in 2012, and the group and some invited participants meet every year at the IGC. The establishment of a permanent organisation or commission within IUGS has also been proposed and there have been discussions on preparing and maintaining an “International Guide to Heritage Stone Designation” that considers not only those types that have international significance but also national, regional and local importance. The HSTG, meanwhile, developed a network of experts and correspondents from across the world. As of November 30, 2015 it had 237 correspondents from 53 countries, including India. However, no Indian contribution has been made to the project while a comprehensive stone heritage book on east and southeast Asia was published in 2016. In India, the focus on preserving stones has been limited to gemstones, not stones used in various monuments over millennia. No action has been taken on recording, sampling or even recognising these stones as cultural heritage. India has had dimensional, ornamental and sculptural stone in various temples and monuments over millennia. The number of types and sub-varieties would run into the hundreds. The Indian subcontinent’s material culture is well documented by stone sculptures which cover a period of five thousand years—the oldest sculptures found in Mohanjodaro and Harappa date to the third millennium BCE. The gradual assimilation of knowledge of using natural stone of various types also comes through in the architecture of temples, mosques, minars, stupas, rock cut caves and forts. There are 32 World Heritage Sites in India recognised by UNESCO, of which 25 are cultural sites and seven are natural sites. India also has a diverse geology with different rock types representing the complete spectrum, from some of the oldest Archaean metamorphites/granitoids to the youngest Quaternary alluvium. Geologists broadly divide the Indian subcontinent into three domains: peninsular India, extra-peninsular India and the Indo-Gangetic-Brahmaputra plains. The Indo-Gangetic plain lies between the shield area—the mountains of peninsular India south of the Arvallis and Vindhyas and the Himalayas of extra-peninsular India, comprising essentially the younger meta-sediments formed comparatively recently on a geological time scale when the Indian subcontinent separated from the African land mass and collided with the Asian land mass. The heritage sites located in different geological provinces provide unique natural stone to cultural sites that are marked by their brilliant craftsmanship. In general, the formation of granite and basalt started 4.8 billion years ago, whereas formation of other stones has been happening since, till 500 million years back. Earth’s waters have corroded much of the rock into vast plains, like the north Indian plains. It is now considered that all dimension stone types may be a “potential heritage stone”. Publications of all types that describe, discuss and promote nominated stone types have been invited by HTSG. The geologists have since been focusing on preparing and approving GHSR nominations and planning to eventually promote community recognition of the designation, protecting recognised GHSRs and revising the existing heritage status of designated stones. Indian geologists, however, have been conspicuous by their absence from most such forums. Many geologists interviewed for this story, while requesting anonymity, scoff at the idea of terming stones as national heritage. There has been no real attempt by any government agency to collate the information on geological provinces from which stones have been sourced to build up the criteria for nominating them as a GHSR or even Global Heritage Stone Provinces from India in line with internationally agreed protocols. A geological province is a geological area that developed in considerable isolation from its neighbours over millions of years and exhibits unique properties in the stones and rocks found within it. Dimension stone can be defined as natural rock material quarried for the purpose of obtaining blocks or slabs that meet specifications like width, length, thickness and shape. Colour, grain texture and pattern and surface finish are also normal requirements. Durability based on mineral composition and hardness and past performance, strength, and the ability of the stone to take a polish are other important selection criteria. V. K. Sharma, former deputy director-general of the Geological Society of India, (Disclosure: The author is related to Sharma) is among the first Indian geologists to speak about the stone heritage of India. His report, “Heritage Stones in India”, was presented at the general assembly of the Geological Society of America in Baltimore, USA, in 2015. “Based on the location of heritage monuments, availability of bulk stone within geological formations, geotechnical properties and the ease of quarrying, four broad geological provinces can be delineated to facilitate identification of the potential natural stone deposits and a database to provide the required information and technical support to the Global Heritage Stone inventory. The provinces can also highlight the available details as per the checklist for ‘Global Heritage Stone Province’ citation,” Sharma says. The Indian subcontinent sits on five major cratonic zones or rock foundations whose base developed from massive lava flows in the Archaean period—4.8 to 2.5 billion years ago—also considered the age of the earth. The lava flows over time formed into granite, basalt, and later different forms of sedimentary rocks. Sediments form in many ways, for example, sandstone is a solidified form of sand and similar sediments. Clay forms into shale and later slate when climatic conditions force it to harden under pressure. Marble, on the other hand, is formed from the metamorphosis of limestone, which in turn collects in deep sea beds over millions of years. A prime example of this is limestone found on top of Mount Everest, showing it originated in deep sea and was forced up by tectonic activity. This is also the reason the Himalayas are earthquake prone and the stones found are predominantly limestone since they were formed quite recently in terms of geological time. The north and northwestern geological region is considered the largest in the Indian subcontinent, extending from the peninsular Vindhyan ranges to the extra-peninsular Himalayan belt. It is also the most important province housing several heritage monuments, from Kashmir to Bundelkhand and Rajasthan to further east up to Kolkata where the Victoria Memorial, built from Makrana marble, stands. It extends from the areas of the Son and Tapi rivers in the south in Bundelkhand which houses the Bundelkhand cratonic belt that separates it from the areas further south. 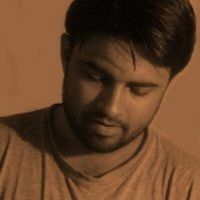 It includes areas now in Pakistan and the Aravali-Delhi ridge which is where Rashtrapati Bhavan is located, the Vindhyan Mountains and the Trans-Aravali Vindhyan supergroup rocks. The Vindhyan supergroup is one of the largest and thickest sedimentary successions of the world showcasing the varied facets of Proterozoic geology, 2.5 billion to 500 million years ago. The region also forms the northern border of the Indian subcontinent and is occupied by the extra-peninsular region of the Himalayan mountain ranges. Slates and limestones are natural stones largely used in construction and housing in the northern ranges of this region due to their ready availability in the Himalayan rock formations. The temples of Awantipur, built in the 8th and 9th centuries in Kashmir are made up of dark coloured Triassic-era limestone which has weathered over time. Kangra Fort in Himachal Pradesh, on the other hand, is founded on boulders with sandstone slabs while the rest of the construction, of limestone, has been subject to easy decay by natural processes. Similarly, the group of carved rock temples at Masrur in HP, a heritage site, are now in a critical state owing to various processes of natural decay, earthquakes and climatic conditions. The site lies close to the active Himalayan seismic belt, and has been subject to deformation by earthquakes, like the Kangra temblor of 1905. Limestone from this region is also extensively used in construction sites and for other purposes, which makes conservation and recording processes of different types of this stone a matter of priority. The sedimentary rock base to the south has been a huge resource for heritage stone in ancient as well as recent construction and building materials. 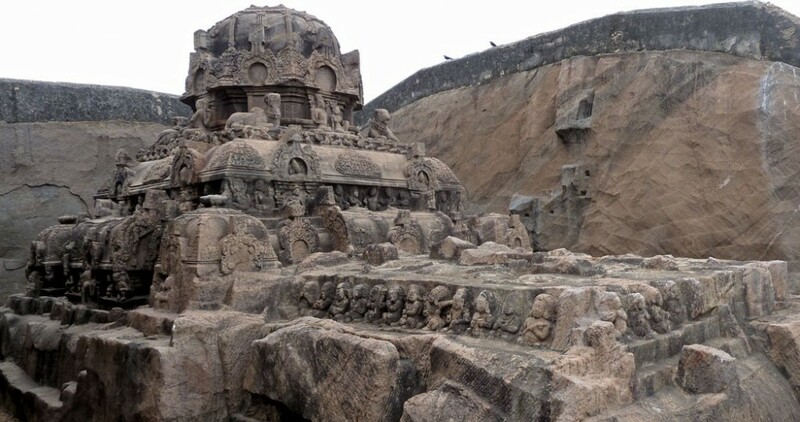 The Vindhyan supergroup covers an area of about 1.04 lakh sq km and can be considered a Global Heritage Stone Province in the northern and northwestern provinces of the subcontinent. Its rocks are un-metamorphosed and have undergone only minor tectonic deformation unlike further north around the Himalayas. Sandstone, a traditional building material, has been used in many historical monuments and is still used in construction today. Rashtrapati Bhavan, for instance, is a sandstone construction. The stone also offers varied colours which are due to the presence of different elements during the period of metamorphosis; this adds to its aesthetic qualities. The dominant stone used in this region is Vindhyan sandstone; indeed it is the main construction material across north India since ancient times and is at the top of the stone export list today. Even sculptures in this region, from 400 BCE, are carved from sandstone. Its comparative softness and the ability of some types to take on a high polish are highly prized. A classic example is the Lion Capital of Ashoka, circa 250 BCE, of four Indian lions standing back to back, carved from a single block of polished sandstone and adopted as the emblem of the government of India. The Buddhist monuments at Sanchi, circa 200-100 BCE with a plethora of pillars, palaces, temples and monasteries in different states of preservation, are another brilliant example. The rock caves of Bhimbetka, in sandstone, comprise a group of five clusters of rock shelters with paintings that are part of the Khajuraho group of monuments. The temples of Khajuraho are an example of fusion between sculpture and architecture, captivating erotica bringing out human sentiment through sandstone engravings. The temples of Khajuraho built by the Chandela kings in the 10th and 11th centuries are considered monumental works the world over. About 30 temples were constructed in a period of 100 years. Khajuraho sandstone belongs to a sub-group of the Vindhyan supergroup. It is generally fine grained and considered excellent building material and found in various shades of buff, pink and pale yellow. Interestingly, the geological foundation of the temples is granite but the building stone was quarried from the banks of the Ken River which flows close to the site with the temples built over the strong granite base. In many temples granite as sculpted material has been used although sandstone dominates. The minuscule partings, weathering and incipient joints in the sandstone show the ravages of time and climate, with decay, breakage, parting and defacing of the sculptures. The mediaeval period, dominated by the Mughal Empire that extended from 1525 to 1860, expanded on the traditional Persian styles of sculpting and architecture to create palaces, mausoleums and fortresses of stone ranging from white marble to red sandstone. The most prominent utilisation of both together is at Humayun’s Tomb (1569) where red sandstone is externally decorated by marble borders and panels. Later the Red Fort built in the 17th century, Agra fort and Fatehpur Sikri became classic examples of natural stone of the Vindhyan supergroup, marble usage peaking with the construction of the Taj Mahal. The Makrana quarry is at the eastern margin of the Thar desert and has an ancient mining history since the stone displays almost no deviations in color. It is the top source in the marble industry because of the ease with which it can be cut into blocks, whiteness, high calcium content compared to lower levels of degrading minerals, high polishing potential and lustre. The translucent varieties of Makrana marble are preferred over others for monumental and sculpture work. Its deposits occur in five prominent rock bands or stretches in the area west of Makrana. Sandstone used in various heritage buildings is also found in the Marwar supergoup or Trans-Aravali region, which is a separate geological entity due to its different time of formation. Marble from here is generally fine grained, buff coloured, hard, compact and is also considered a good quality dimension stone used in forts and other buildings in north and western India. Marwar is among the many Proterozoic sedimentary basins that developed in peninsular India that preserve rich records of geological history. Its formation is considered to be later than the Vindhyan although some of the regions of activity overlapped. The Jaisalmer region, on the other hand, has large reserves of building and ornamental stone in the desert country. The rock formations exposed around the fort area consist of a thick sequence of cream, buff and brown coloured limestones and grayish, brownish yellow sandstone. The fort, one of the world’s largest fully preserved fortified cities, is also a World Heritage Site in the sandy expanse of the Thar Desert. Built in 1156 AD, the fort has sandstone and a peculiar, bright yellow variety of limestone, with fine grained texture and good polishability. It is one of the top contenders for GHSR. This yellow limestone has been mined for centuries. Being abundant and easy to mould it is used extensively for construction even today. The present trend is to make stone carvings, both hand-sculpted and machine-sculpted. Architects promote items made of sandstone and carved materials in residential villas, which has helped revive centuries-old stone craftsmanship in the region. Apart from Rajasthan it is widely available in Madhya Pradesh as well, in red, buff, beige, pink, etc., fetching huge amounts in international markets. Vindhyan sandstones and Makrana marble together comprise a major export commodity from this region as a result, with exports running into hundreds of millions of dollars. Though illegal mining is rampant, the estimated reserves seem inexhaustible at 1,000 million tonnes. Rajasthan accounts for 90 per cent of sandstone and nearly 70 per cent of marble mining and export. Despite having 27 per cent of the world’s stone production, India’s share in the world trade stood at barely 11 per cent as of 2015. It is an indication of the scale of illegal export, waste as well as domestic use on a large scale. We still do not have good machinery and techniques developed for polishing, which is why most stone is exported raw, whether legally or illegally and the government has done nothing despite the exporters asking for expertise and import concessions time and again. R. K. Singh, owner of Arvind Marble and Granite Limited, in Kishangarh, Rajasthan, says, “We still do not have good machinery and techniques developed for polishing, which is why most stone is exported raw, whether legally or illegally and the government has done nothing despite the exporters asking for expertise and import concessions time and again.” Industry estimates, as per government figures, indicate that the trade stands at around Rs 3,200 crore per annum, of which sandstone and marble along with granite are the major stones exported, apart from limestone and some shale. South of the Vindhyan region, the Deccan plateau and the larger region referred to as the Deccan Traps consists of massive stacks of multiple layers of solidified basalt that flooded and occupied the larger west-central region. The layers of basalt form a crust more than 2,000 metres thick and cover an area of 5 lakh sq. km. This basalt is the source of construction material for some of the most pectacular monuments, including the Ajanta and Ellora temples, both World Heritage sites. Lava flows in this region have been nearly horizontal, which allowed the sculptors to chisel the rocks from top down. The practice of creating a structure by carving it out of natural rock was well developed in this region and these caves were achievements of both structural engineering and craftsmanship. The Deccan Traps covers almost all of Maharashtra, part of Gujarat, Karnataka, Madhya Pradesh and Andhra Pradesh marginally. It is said to have formed when the Indian subcontinent plate was moving through the volcanically active Reunion hotspot in the Indian Ocean millions of years ago. Basalt masonry blended with sandstone from some areas like the Gondwana group of rocks have been extensively used in heritage structures like the Gateway of India and the Chhatrapati Shivaji Terminus in Mumbai. The region south of the Deccan Traps, referred to as the southern peninsular region consists of Proterozoic-era rocks. They are predominantly granites and gneiss which is comparatively weaker. A majority of the rocks are much older than the northern regions of the subcontinent and were formed by thick lava flows as a result of extreme tectonic activity. It has two sub-regions, the northern part abutting the Deccan Traps known as the Dharwar region. The southernmost part, known as the southern granulite region, is separated from the Dharwar region by the Palghat-Kaveri shear zone, which refers to a time-gap in the formation of the two regions. The southern granulite region is made up of differently formed granulites, charnockites and khondalites, which got the name because that particular rock is found in Phulbani district of Odisha dominated by the Khond tribe; similarly, charnockites get the name after the Englishman Job Charnock (founder of Calcutta) whose statue was found to have been carved from this distinct stone. These rocks have been used in the construction of heritage buildings, temples and other constructions through millennia. The southern kingdoms successively show many fine examples of sculpture from various granites and gneiss, charnockites and khondalites which are widely available in the region and still used locally as well as being exported. The Konark temple of Odisha is an example of khondalite found mostly in this region and in some parts of Burma. Khondalite is a type of gneiss found in the Eastern Ghats coastal region and prone to weathering and chemical alteration, a major factor in the gradual disintegration of the stone used in the temple. The temple complex is built of khondalite on the bed of the river Chandrabhaga over a thick pile of boulders and sand with no other solid foundation. The temple is in various shades of brown, yellow and other coloured stones. In temples, stupas and other monuments stone provided the strongest option because of its durability since they were intended to mark the infallibility and remembrance of its builders. With patronage and investments from rulers, rarer stones also came into use. In the Taj Mahal, for example, lapis lazuli has been used for the ornamental engraving in turquoise blue. It was imported from Iran and Italy. Granite and marble were used for statues because of their fine polishability while metal became the preferred choice with development of exquisite metallurgical skills, especially in southern India. The Mahabalipuram shore temples, classified as a World Heritage Site, were constructed under the Pallava dynasty in the 7th and 8th centuries. Each temple is carved from a single rock with all known plans and elevations incorporated through chiseling and craftsmanship. The Pallava rock cut temples with finely carved sculptures use reddish granites and charnockites, considered among the hardest and most durable of rocks, yet amenable to fine sculpting. Granite structures at the Meenakshi temple in Madurai and Hampi in Karnataka made use of the surrounding rocks. Chola temples of the 11th and 12th centuries at Thanjavur are considered architecturally the most ambitious granite structures. The monuments at Pattadakal have also been made from the granites of this peninsular shield. Today’s surviving Chola temples, including the three temples of Brihadisvara, Gangaikondacholapuram and Airavatesvara at Darasuram of the 11th and 12th century have been declared World Heritage Sites. The different types of granites from this region have been used for centuries in monuments and have had other important uses, too. India has one of the biggest reserves of granite, with almost 200 colours and textures. More than 20 per cent of the world’s granite is found in India and mostly in Tamil Nadu, Karnataka and Andhra Pradesh, with Tamil Nadu holding 75 per cent of the trade share. More than 150 units produce and export various shades of the stone. Indian granites are the most sought-after and extensively used material in construction and structural works throughout the world. That makes recognition and record-keeping of these GHSR-hopefuls vitally important in light of the burgeoning export and probable disappearance of some particular forms. The eastern and northeastern regions of the subcontinent, including present day Bangladesh, can be classified as a sub-region with a different set of stones used for various purposes. Separated by a geological region called the Mahanadi rift, where there is a considerable gap in the ages and formation processes of the two portions, the region includes Singhbhum, Chhotanagpur and Meghalaya as well as areas further east. But there is comparatively little use of natural stone in temple complexes such as the Mahabodhi complex at Bodh Gaya, also a World Heritage Site. It is one of the four holy sites related to the Buddha and so has a universal importance which makes preservation and development of the area’s stone art almost mandatory. While this was the first temple built by Ashoka in the 3rd century BC, the present complex was built in 500-600 AD and encompasses the best remains of the time in the subcontinent. It is built entirely in brick with clay mortar and coated with lime, and considered the best preserved example of brick architecture in India from this particular period. It is considered to have had a significant influence in the development of brick architecture over the centuries. The use of natural stone is limited to granite slabs as floor and sandstone in the railings, though it is presumed their use in the original temple was more widespread. The granites used are available in the region while the sandstone belongs to the Vindhyan region available only at a considerable distance. The temple has undergone repairs and restoration on several occasions. The Victoria Memorial in Kolkata was built between 1906 and 1921 to commemorate Queen Victoria’s reign in India. The white-marble structure was made from natural stone brought from Makrana. While Indian geologists remain unenthusiastic about the GHRS project, the Europeans are working to not only recognise GHSR but also developing innovative techniques to conserve stones and understand the effects of war and other man-made conditions on ancient structures. The conflict in Syria and Iraq has damaged or destroyed many world heritage sites. Geologists have since been experimenting with various stones to understand the nature of structural damage due to bullet impacts and blasts, which will help them evolve conservation techniques for the future. They are using their learning from the restoration and preservation of monuments damaged in World War II and earlier, like the Cardiff University building in Britain and the General Post office in Dublin, Ireland. This holds true for the subcontinent, too, especially in parts of Kashmir, in Pakistan and also the Babri Masjid demolition in Ayodhya. “Even a huge country like the US does not have the same variety of stone as India, and the use of stone in India is ancient and extensive. It is important to understand this cultural heritage,” says Sharma, who plans to approach other geologists for support. Arvind Kejriwal’s government doesn’t walk the talk on corruption. 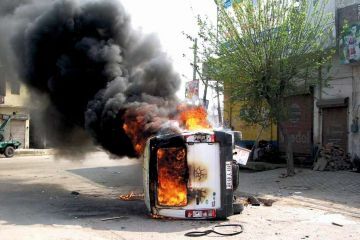 How the state government fumbled for a response, and the police fled, when the Jat agitation turned violent.